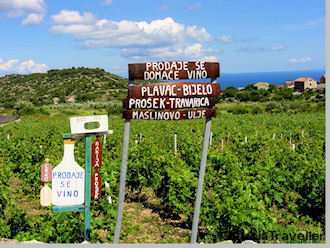 In this short article the Gecko provides Croatian wine – brief overview – just brief oversight of the Croatian wines and Croatian wine making. This article is not meant to be for the expert but for the interested amateur who would like to make a somewhat informed decision of what wine to sample when in Croatia. The Gecko does however offer a great Foodies tour of Split Split Foodie tour which, amongst other things, focusses on local wines and also a great day trip to Ston and Mali Ston Ston and Mali Ston tourwhere we visit the wonderful Stina estate Stina wine estateand enjoy many of the wines referenced below. It is the Illyrians, who experimented with vines in the territory of the present day Croatia during the Bronze and Iron Age. However, wine growing only developed properly with the founding of the Greek settlements in the area. A script with the descriptive title “The Feast of Scholars”, reports on the production of wine in the Greek colony of Issa (present day Vis Island), originates from this time. 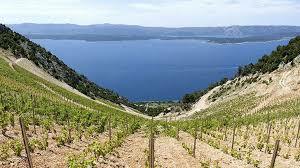 Wine from Vis Island was considered by many Greeks to be the best in the entire ancient world. It’s still grown there today so ask your waiter. Later, the Romans spread vine growing throughout the country as well. 1. The Coast – Istria and the coastal strip of Dalmatia and the islands. On the Croatian coast, the vines extend from Rijeka to Dubrovnik. Here are the winegrowing areas of Istria, Sjeverna Dalmacija, Srednja/Južna Dalmacija and Dalmatinska Zagora. Excellent and powerful red wines, made from grape varieties such as Plavac Mali are grown here. Its relatives, the Zinfandel from California or the Primitivo from Apulia (see below), are better known. 2. The continental area of Slavonia in the north. Continental Croatia comprising the Danube region with wine growing areas of Zagorje-Medjimurje, Plešivica, Pokuplje (Kupa area), Prigorje-Bilogora, Slavonia and Podunavlje (the Danube area). Mostly white wines are produced there. While most of the wine world seems to concentrate on Chardonnay, Sauvignon Blanc, Merlot and Cabernet, Croatia’s vintners score with independence and character. In Dalmatia, the red Plavac Mali has long been the grape of choice for enjoyers of a little of the red stuff and is to be thanked for two of the most famous red wines, the Dingač and the Postup. The name Prošek probably (in an unflattering sort of way!!) reminds wine lovers in the world of the sparkling wine, Prosecco. 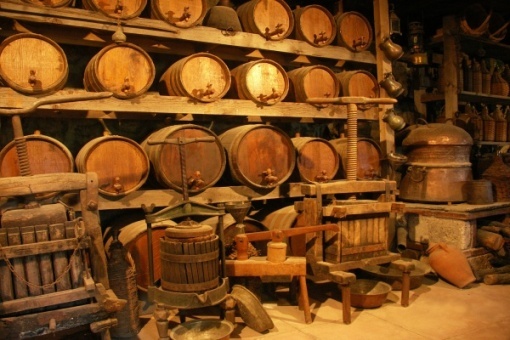 However, the Croatian Prošek has more to do with Vin Santo or port. Prošek is made from various grape varieties, white as well as red. The grapes are dried in order to concentrate the sugar content. The result is rich in alcohol and sweet. Prošek is a powerful, sweet dessert wine. Worth a try! A good ten percent of the vines, cultivated in California, are of the Zinfandel variety, which produces a velvety but truly alcohol-rich red wine and is therefore often processed without skins into a sweet rosé wine, the “White Zinfandel”- long considered as an independent Californian grape variety. Given the popularity of Zinfandel, scientists set about researching the origin of the cult red wine. By 2001, the opinion was that the variety originated from southern Italy or Sicily as it was identical with the local Primitivo grape. In Italy, grateful vintners ceased on the opportunity and began to label their wine “Zinfandel”. They were to be proved wrong! A team of Californian and Croatian experts proved that both the Zinfandel and the Primitivo are clones of an old grape variety which originated from Dalmatia. This variety is called Crljenak and is also known by the name Okatac. The previously largely unknown Crljenak is also the origin to another important red wine: the Plavac Mali – a cross between Crljenak and Dobričić – this is widely on sale in Dalmatia and certainly worth a try. Main red varieties: Plavac Mali, Babic, Crljenak, Plavina, Refosk, Teran (Refosco), Hrvatica as well as Cabernet Sauvignon and Merlot. Enjoy some or all of them!